There's something undeniably wonderful about jazz. Whether smooth or upbeat, that wonderful combination of small-scale orchestra and American history flows through our very souls like a cool river during an August noontime. So for those who want to find out where some of this joy can be had, stop on in, take a load off, and try out these eight great jazz clubs in Michigan! Detroit is pretty much the center of jazz in Michigan, owing in part to its ample population and its Motown connections. Among the host of jazz clubs in Michigan is Cliff Bell's, perhaps the premiere such location in not just Detroit, but in Michigan. Featuring a full dinner menu as well as a host of beverage options, this jazz club is home to a wide variety of jazz acts, allowing patrons access to some of the biggest names around. Finding jazz clubs outside of Detroit is no mean feat, but Traverse City supplies us with one great option in Poppycock's. Operating since 1989 in an historic building that's been host to a variety of businesses, Poppycock's offers full dinner service and a variety of drink specials. While its event schedule isn't strictly jazz, reports suggest that it's been host to such affairs, so keep an eye on its upcoming events calendar for the latest word. Though jazz may not be the only thing on the menu at The Gatsby, Kalamazoo's most upscale nightclub, its billing as “a modern speakeasy” makes it at least look like what a jazz club should look like. That atmosphere makes it truly feel like a step back in time, and makes it worth a stop to feel just like one of the suave gangsters in a 1940s-noir drama. Grand Rapids is home to the West Michigan Jazz Society, so it's a safe bet that at least one jazz bar could be found here. Thankfully, that's just the case with the Speak EZ Lounge, a jazz bar that not only offers jazz, but also some thoroughly unusual menu items like calamari steaks from a Bartrami Giant Squid. That combination of exotic menu range and jazz makes this a destination to check out. Brooklyn Boyz in Bay City has only been a jazz bar for about the last two years, as it got a liquor license back in 2015. It was set to offer live jazz and blues every Friday and Saturday night thereafter, which makes it a combination of jazz and bar sufficient to add it to this list. When it's not featuring jazz—and sometimes when it is—it's also a top-notch Italian eatery that features some dazzling options in pizza service. Indigo Venue isn't always a jazz club. This Saginaw venue promises upscale entertainment for a more mature crowd, but that also includes comedians and similar fare as well as jazz. This versatility in the lineup coupled with some impressive drink selections make it an occasional jazz club well worth checking out, especially for those who are already in the Saginaw area. Every Tuesday night, Grand Haven's the Grand becomes a jazz bar right on Michigan's West Coast. 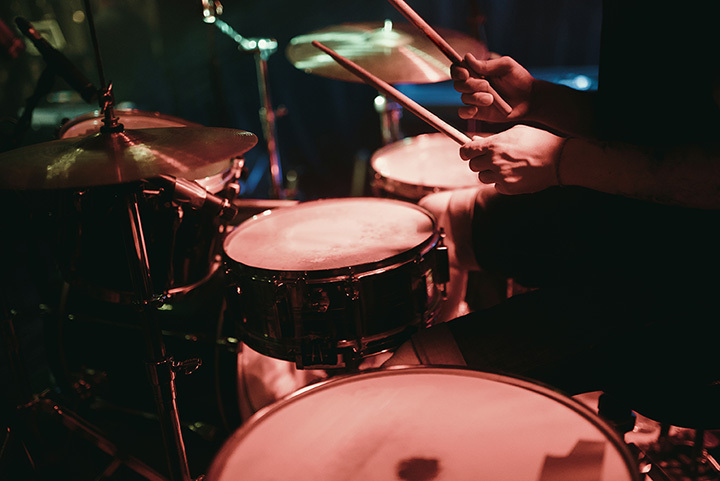 That night, this exciting destination restaurant plays host to Take Three Jazz, an impressive trio that often features special guests along with their terrific musical feats. Throw in an extensive menu that features everything from mussels to bouillabaisse and the result is a jazz-packed event to be proud of. We started with Detroit, and so we end with Detroit and a trip back to Baker's Keyboard Lounge. Billed as the world's oldest jazz club, Baker's has been in operation since 1934, delivering a thoroughly noir-style experience in Art Deco surroundings. Don't make the mistake of thinking that time has dulled Baker's sensibilities, though, because this bar not only offers jazz, but an impressive dinner menu as well as an array of drink choices. View more Michigan Jazz Clubs.